Java String Class, The java.lang.String class gives a considerable measure of methods to deal with string. By the assistance of these methods, one can perform operations on string, for example, trimming, concatenating, converting, comparing. Java String is an intense idea in light of the fact that everything is dealt with as a string in the event that user present any structure in window based, electronic or versatile application. In Java String Class, toString() method is overrided to return the string value of the object. The hashcode() method is also overrided to return the hash code value generated based on string value of the object. The equals() method is also overrided in the Java String Class to compare 2 string objects based on the string value. 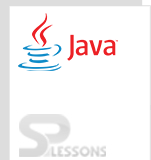 The Java String Class object created are stored in the string pool. Inside string constant pool duplicate string object are not created, where as inside non-constant pool, duplicate objects are created. Whenever string object is created using new operator the object is created in string non-constant pool which allows duplicate object. When the string objects are created using (“ ”) directly, then objects are created inside the string constant pool. If one tries to create duplicate objects inside constant pool, the object will not be created. Instead, the existing objects is redefined. In the above toUpperCase and toLowerCase methods are used to change the string physical text to lowercase and uppercase. The following is an another example to compare the given two strings by equals() method and ‘==’ operator . The equals() method of an object class compares the current object with argument object.Returns true, if both the object are same else false. The == operator is utilized to compare 2 objects, it expels to find if the given objects refer to the same place in memory or not. Immutable means no change. To have immutable, class must be final i.e. one cannot change the values of object member after instance creation. If anyone tries to change the values, JVM will create another object with that values. The following is an example. The following is an example to reverse the string. In the above example reverse() method of the StringBuilder class has been used. There is no reverse() method for the string. So convert the input string to StringBuilder , which is achieved by using the append method of the StringBuilder. Java provides two classes String builder and String buffer to store string values. Both these classes are mutable i.e, the value can be modified after the object creation. In both the classes only toString() method is overrided. hashcode() and equals() methods are not overrided. In both the classes, there are methods for appending, inserting and modifying characters of the string. In both the classes, reverse() method is available.These classes are present in java.lang package. Difference between string buffer and string builder is ,string buffer is a thread safe class where as builder is not a thread safe. String buffer and builders are mutable but string class is immutable. The following is an example for the StringBuilder and StringBuffer. The string trim() method disposes of white spaces previously and after the string. The string charAt() method gives back a character at determined index.